Whether you have a commercial or mission-based venture, a well-made business plan helps to focus on both long-term strategy and short-term tactics. Creating a good business plan requires know-how, and many books are available to help you craft a workable document. Here we’ll review a popular title in the field: Business Plans for Dummies. Business Plans For Dummies was written by Paul Tiffany, Ph.D., and Steven Peterson, PhD, professors at UC Berkeley Haas Business School. Their book is not actually for dummies, but for a smart audience interested in the purpose and use of a business plan. The book discusses topics related to business plans, instead of offering a step-by-step guide. The book leads you through the research that goes into your final document. Standard elements of a business plan are discussed, with emphasis on using the plan actively for your company. You will also learn about using your business plan to secure financing, and how to avoid common mistakes. Business Plans for Dummies covers areas relevant to making a business plan, including information about using the finished document. The book takes us through the initial research steps, presenting questions to help you form a clear picture of the company. How to analyze your competition and the market are explained. We learn to clarify objectives and formulate the company’s values, vision and underlying mission. The book offers advice on how to structure your organization and leadership. Instructions include identifying and understanding customers. We learn how to analyze business strengths and weaknesses. Planning for growth is introduced, with discussion about product life cycles and finding new markets. Funding sources are discussed, including ways to locate and approach them. We learn to use our business plan to shape the company to be effective in its goals. Techniques to create realistic forecasts and budgets are discussed. 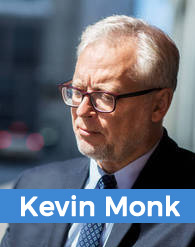 Lessons include trends and changes in the business climate. Business Plans for Dummies is popular in the field, and offers expert knowledge from two qualified authors. Though no one book is a complete resource on the subject, the work offers an overview of what goes into a business plan and how it fits into general business practices. The book provides a broad overview on researching and assembling the information needed to create a useful document. The text is written in a consistent informational style. In its pages, you learn how to do research and basic analysis of your business environment. These steps culminate in a mission statement and other business guidance milestones. The book also conveys the mindset of actively using the plan in your business, and discusses how your business plan fits into the real world. One caveat is that the book doesn’t give much instruction about actually creating a business plan. This will not be a weakness if you understand its purpose, as there are many free materials available for such guidance. The text is mainly focused on methods of gathering information to put the document together, and how to make it an active working asset for your company. The text is written for newcomers in a rather instructional manner. The authors present the information in a clear and readable tone, though some may want more animation to help assimilate a possibly dry subject. 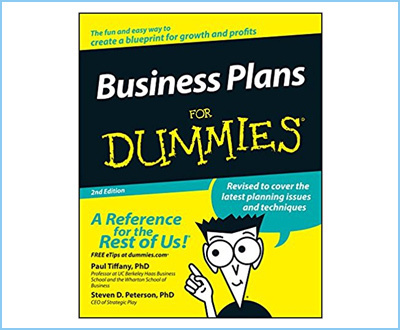 Business Plans for Dummies is a popular, venerable title. The information is clearly explained, and contains valuable and relevant discussion about the importance, preparation and use of a sound business plan. The text doesn’t spend much time on making the plan, instead offering clearly-written explanations and discussions of a business plan’s purpose and how it is used. Overall, the book is a helpful and informative—though not specific—guide to the process. It forms a good introduction to the greater picture of how a business plan benefits and shapes a company. Your questions may be answered, or you may feel let down by the lack of practical hand-holding … please let us know what you think!